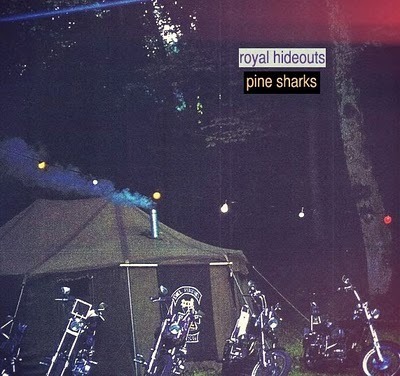 Royal Hideouts is the pet project of one college kid living in Boston and mimicking the great pop songs of his life in a closet studio. After playing with ambient and electronic music for a few years, in early 2010 he began trying to create rock music by himself, despite never having been in a band. Drawing influences primarily from new wave, post-punk, and shoegaze and inspiration comes from ”New Order, Jesus & Mary Chain, J Dilla”, Royal Hideouts produces brief tracks heavy on sensation and reverb. Also, pick up the free EPs, Pine Shark and Coral Casino. My ringtone is Onra’ s “One Day” which is also my alarm clock. The Paradise in Boston, but maybe just because my favorite bands usually play there if they decide to come this far north at all. Thurston Moore and the Boredoms, I swear they’re not native to this world. In the middle of a French Connection style car chase. I only bother with music because I was too poor a student to ever make the CIA. True story.